When I was planning my solo, unsupported cycling trip from John O’Groats to Land’s End a friend of mine said “you should meet Anna, she cycled around the circumference of the island so if you think just doing the length is a big deal, she’ll put you straight.” Anna became my oracle and after just one phone call I turned my idea into a definite plan. When I met her she had just finished writing about her adventure and I was one of the first people to read Eat Sleep Cycle. I was lucky to have a friend like Anna on speed dial in case I needed advice or a pep talk. Packing for short rides can be a nightmare so deciding what to take on a ride that takes weeks must be next level. You never know what you may or may not need so if you find you haven’t used it, send it home. “You quickly realise what you need. If I haven’t used it yet, it’s just taking up space….It’s quite liberating not having to choose what to wear each day. It’s like a detox of possessions.” Day nine: Bridlington to Whitby. “You still don’t know what you’ve let yourself in for, it’s still hard work and you’re sore from the first day.” Day 2: Southend to Frinton. Nothing beats mapping out your route properly. Getting epically lost is not fun as Anna learnt the hard way numerous times from Berwick-Upon-Tweed to Edinburgh. “I don’t know what had possessed me to attempt an 80-mile ride based on five lines of written instructions, but they had made perfect sense when I wrote them down. It had all looked so simple online.” Day 12: Berwick –Upon-Tweed to Edinburgh. We all know that ‘Something Hill’ means it’s going to get tough and ‘Something Crest’ usually means you are over the worst. Some things may be less obvious but are worth looking up. ‘…Aber is Welsh for river mouth, which meant going all the way down to sea level, undoubtedly followed by a huge climb.’ Day 47: Aberdyfi to LLangrannog. 5. Accept that plans may change. Circumnavigating the coast, Anna planned to swim in the sea every day. This turned out to be somewhat impossible. Accept that you are ruled by your environment and adjust accordingly. “..the low tide in Southend, the rain in Wells and the river at South Ferriby had all conspire to make daily dips difficult.” Day nine: Bridlington to Whitby. 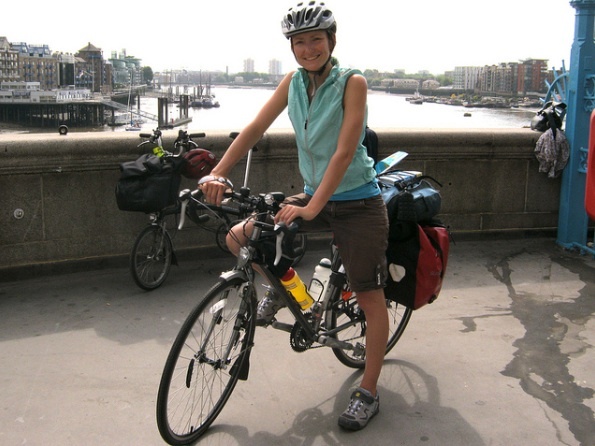 Anna is currently cycling and touring her book from Land’s End to John O’Groats giving talks and signings at a number of bookshops and bike hubs. 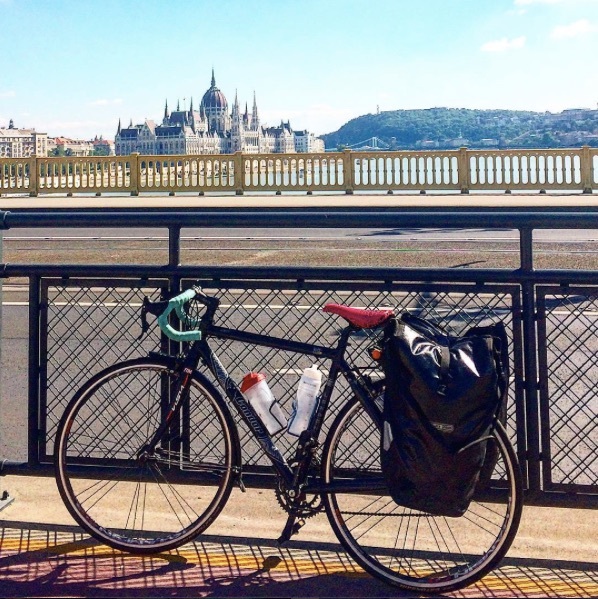 You can follow her adventures at @EatSleepCycle. Eat, Sleep, Cycle is published by Summersdale and available here.